Whether you’re at home in an urban world or love the rural life, incorporating some Country Cottage style brings a beautiful year-round cosiness to your interior design. If you’re looking for the full manor house treatment or just a few accessories to add some rustic interest to your scheme, read on for inspiration on getting the Country Cottage style for your home. No rustic cottage kitchen is complete without an elegant display cabinet, like this gorgeous piece from our Country Cottage range. 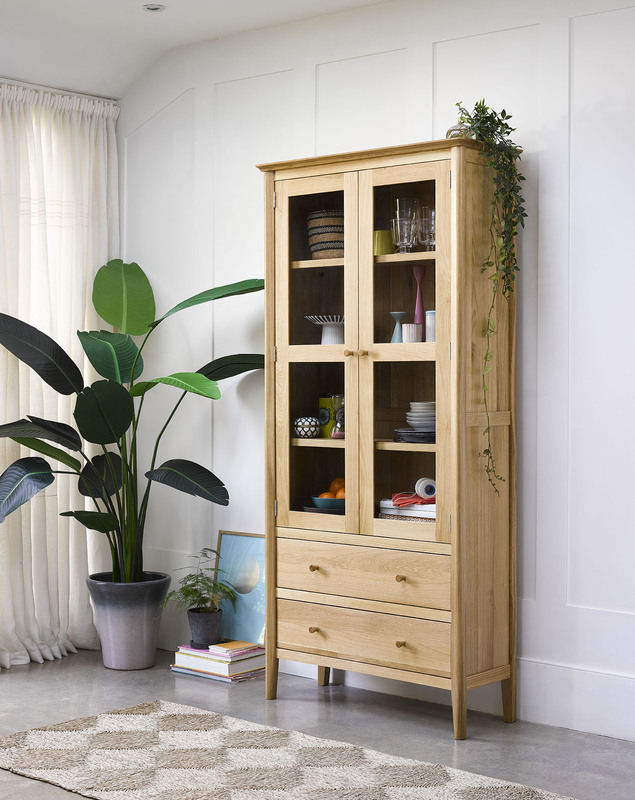 Coupled with generous storage space and three display shelves, this elegant yet robust piece not only looks effortlessly stylish but will help keep your kitchen or dining room in order, too. If there’s a finer way to showcase your ceramics we want to hear about it! To truly capture the Country Cottage look you need to create an intimate homely space in your kitchen. Perfect for sipping your steaming cup of tea after a long walk through the woods. 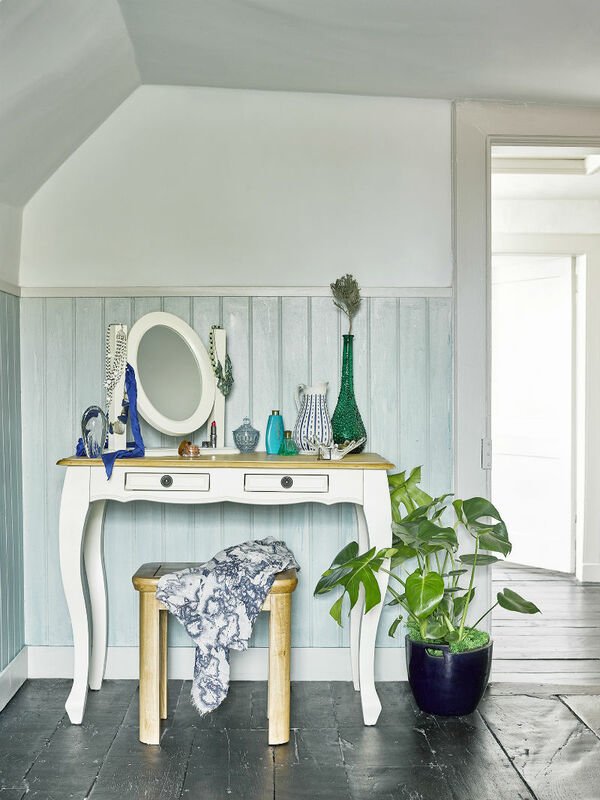 While our Country Cottage range alone is great for this look, there’s absolutely no harm in mixing and matching from a few different collections. 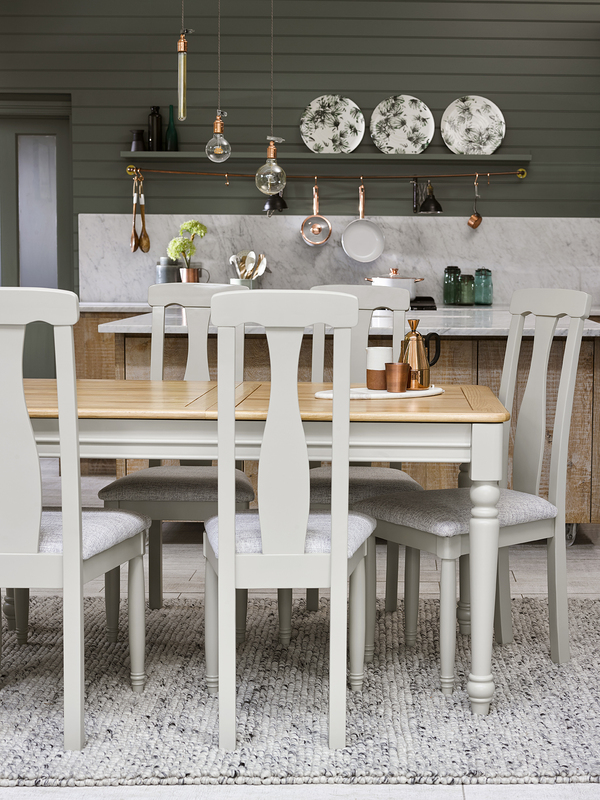 This dining table from our French Farmhouse range and dining chair from our Kemble collection combine beautifully to create a kitchen centrepiece you’ll love to come home to. Once your furniture is in place, style your table with some nature-inspired accessories. Incorporate roses and ivy or a wildflower inspired vase and decorate the table with natural materials such as a linen runner or placemats in forest green or oatmeal. One of the things that we love about the Country Cottage look is that alongside its essentially feminine character it has a living-off-the-land feel that appeals to both men and women. Add some of this timeless warmth to your living room with some French-inspired pieces such as this elegant Country Cottage coffee table, accessorised with pine cones or a seasonally-flowering plant or two. 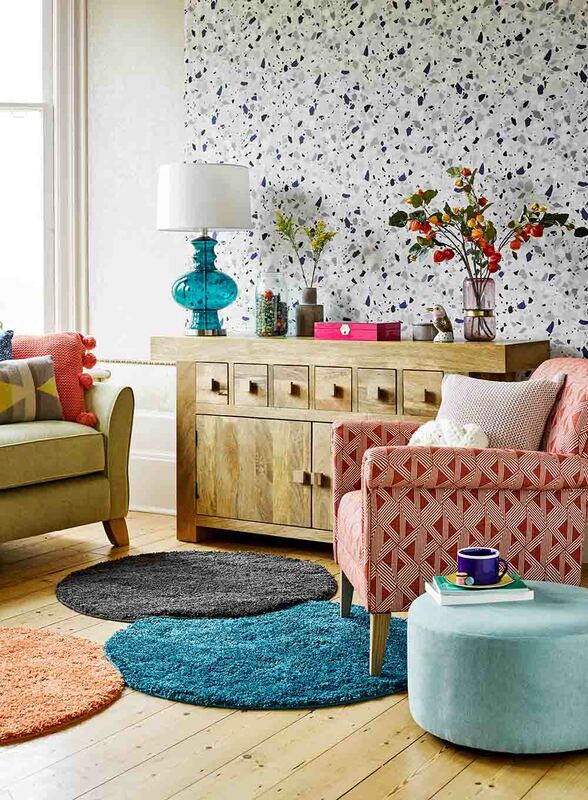 Looking for further inspiration on styling your coffee table? 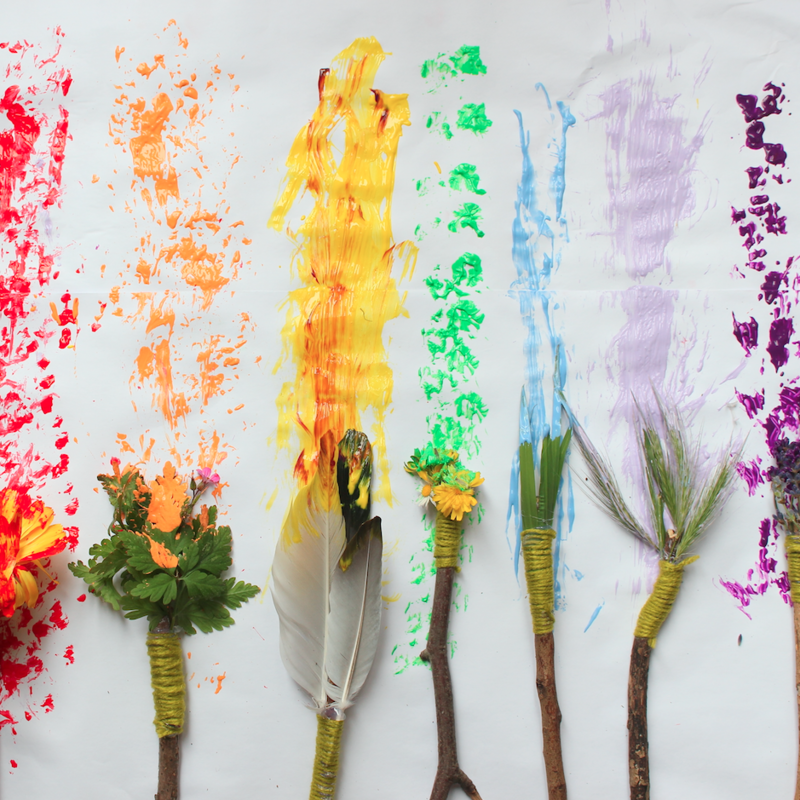 Take a look at our blog. Sofas and armchairs should be sumptuous and ready to sink into, like these tempting pieces from our Savannah collection. Add a liberal scattering of cushions in fresh florals, or opt for tartans, ginghams or stripes to give this look a more masculine touch. 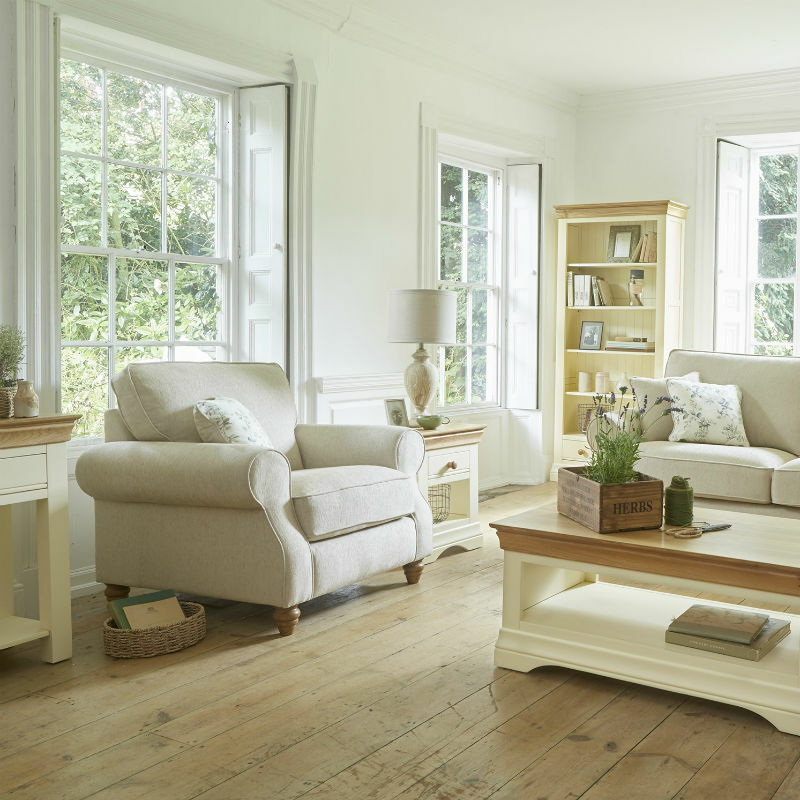 While Country Cottage style is focused on being cosy, you also want your living room to have an airy, open feel. 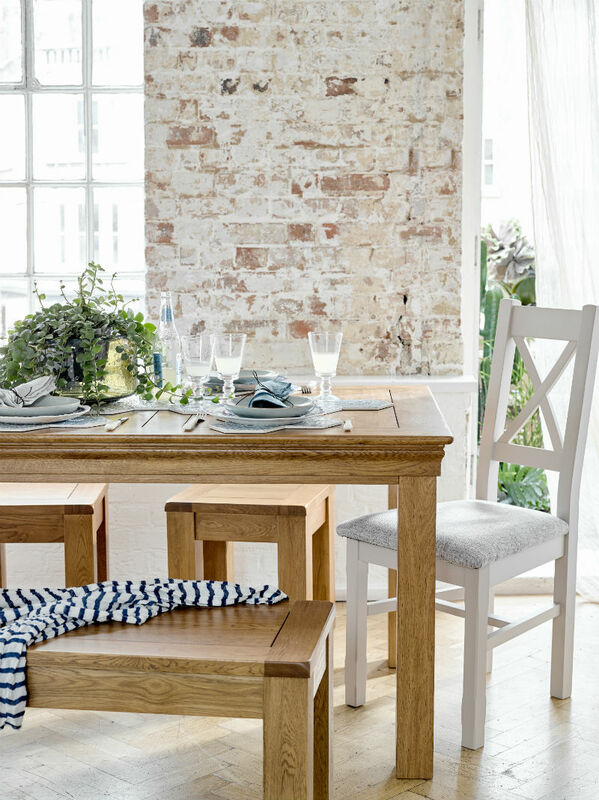 If space is a challenge, invest in some nested tables like this set from our French Farmhouse range. Not only do they look great but they provide extra display space and handy seating for visitors. 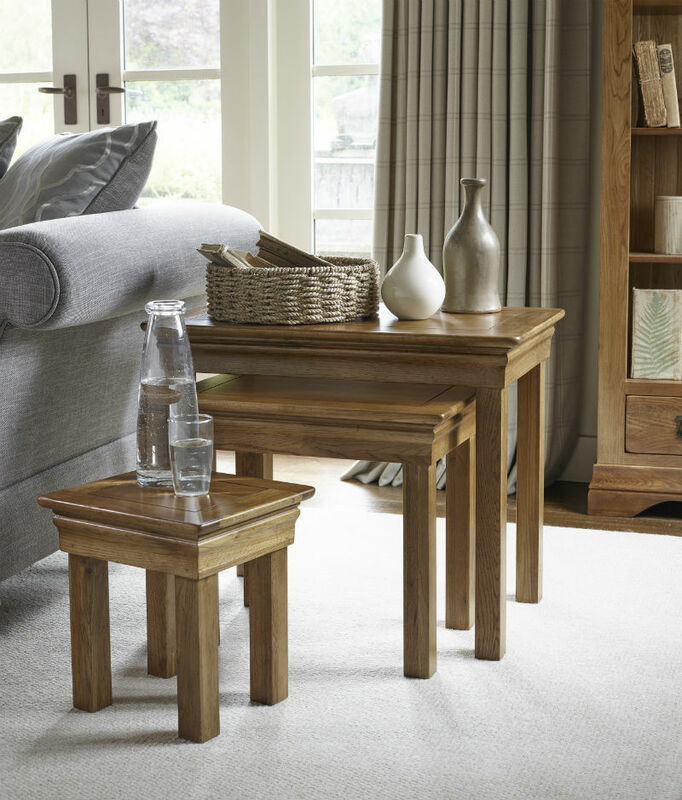 Looking for some inspiration from the Oak Furnitureland community? 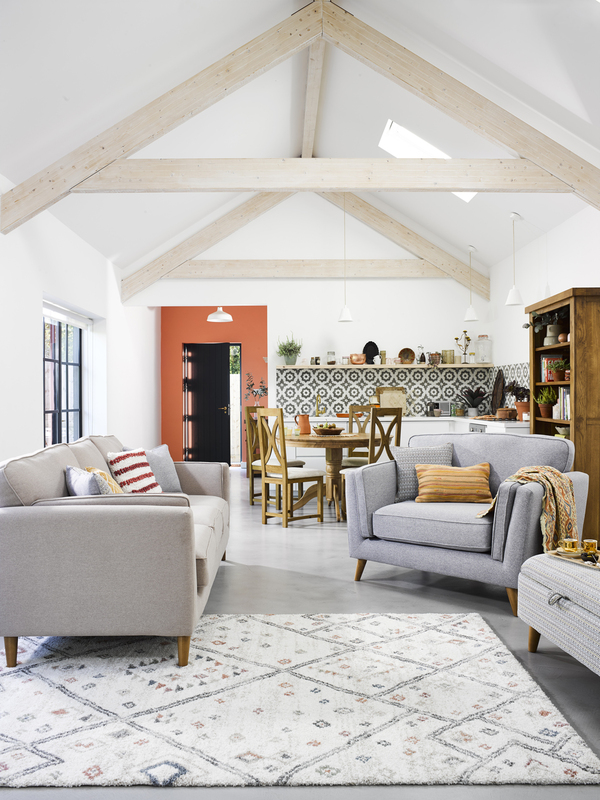 Take a look at our blog – Country Cottage As Styled by You. 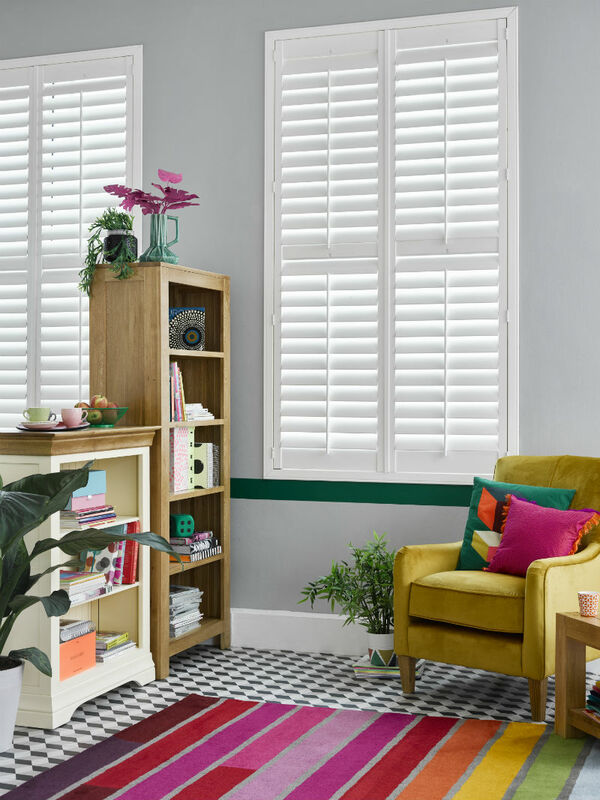 It doesn’t matter if your bedroom window gazes out on a glistening lake or an urban thoroughfare, your Country Cottage look will keep you feeling like a character in a Jane Austen novel. 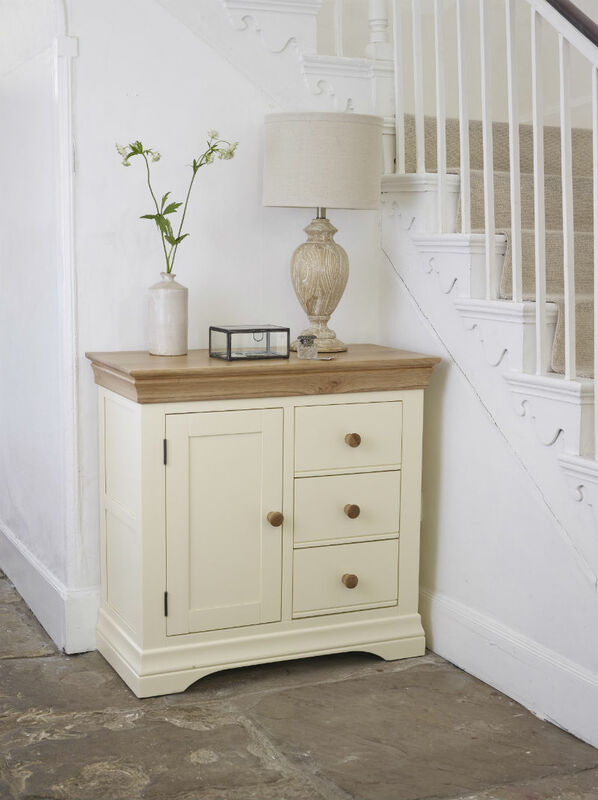 We adore the way this collection of pieces from our Shay range brings such a freshness and light to the room. 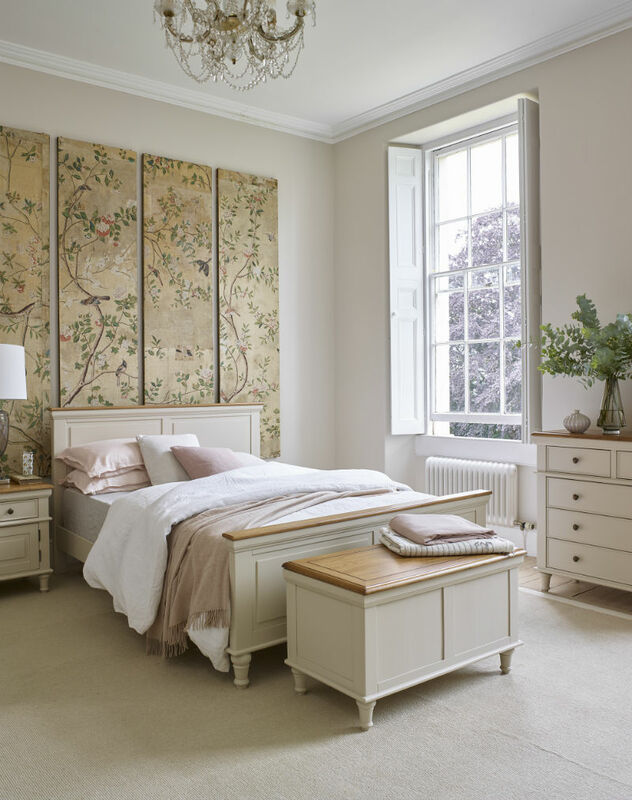 Nothing says cosy like a blanket box, and nothing says ‘cup of tea with a good book’ than this lovely king-size bed. To be sure you maintain that sense of space, you’ll want good storage in your bedroom. 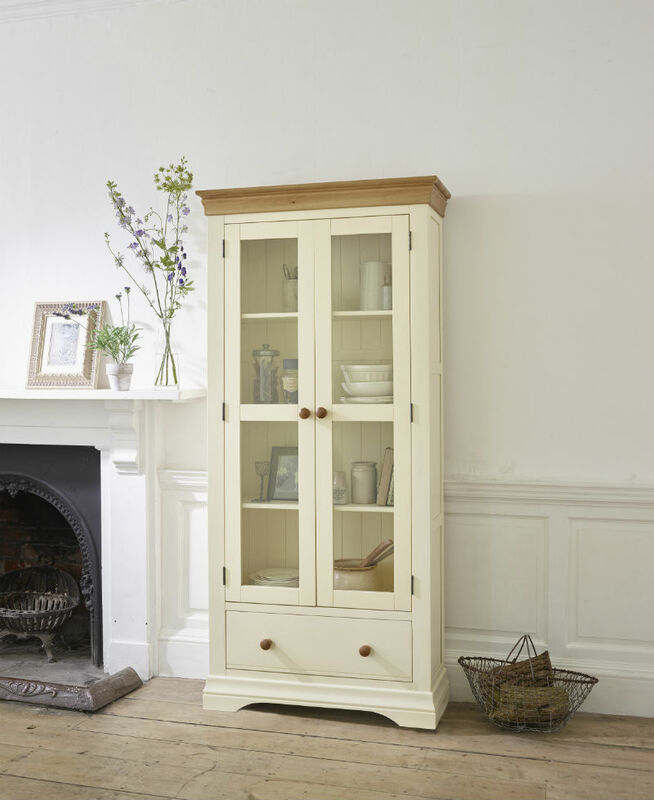 With split-level storage in the cupboard and a height adjustable shelf, this storage cabinet from our Country Cottage range will help you keep clutter-free, without compromising on style. 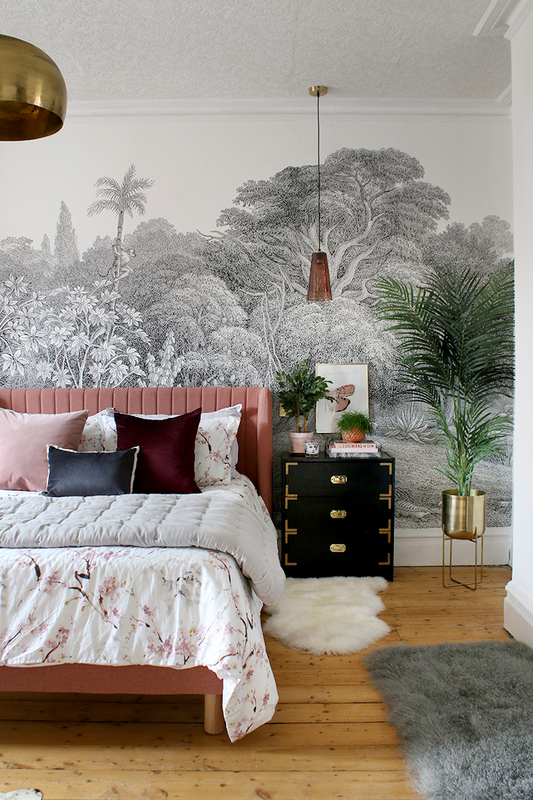 We hope these tips have given you some inspiration for incorporating this gorgeous look in your home. 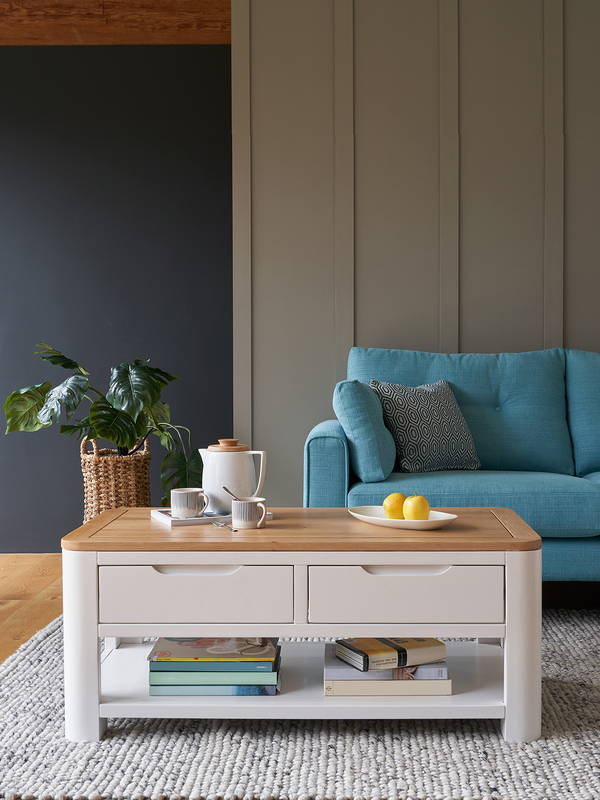 Let us know how you get on by sharing your photos using #OakFurnitureland on Instagram and Twitter. You’ll have a chance to be featured in our next As Styled By You series!